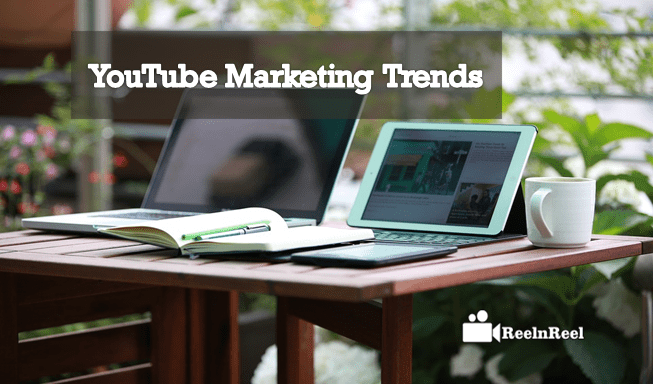 Is there anything else to know more about YouTube Marketing 2019? Are you tired of using old spice in Video Marketing? Do you want to find the ultimate direction guide to blast the YouTube Marketing in 2019? Go ahead to pick all the tips, trends and strategies for YouTube Marketing 2019. 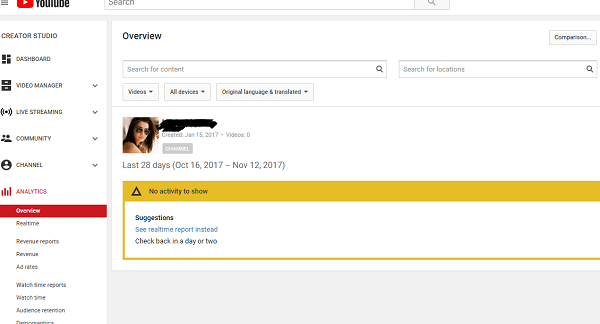 YouTube is giving a great opportunity to new bees in elaborating their career with no boundaries. Hence, YouTube has become the medium for new YouTube creators to turn as stars. There are specific categories which are having more demand in the public such are Gaming, Music, and Fashion, etc. For example, if we take Pew Die Pie who has built the unique figure that no can erase for the decades. The only simple thing he does is that he makes funny commentaries while playing video games. His channel has 57,865,345+ subscribers and 16,392,827,790+ views which causes him to be on the list of celebrities. Localization is the central concept to elaborate one’s talent which helps to become the star in a limited period. The local candidates might have more idea about the preferences of audiences to generate the final content. Hence, the localized stars can easily attain more advantages through YouTube. Casey Neistat is the best example to consider as the localized star who has become much popular YouTuber in the category of traveling in the United States as he belongs to the US. “Casey Neistat” channel has 8,215,475+ subscribers and 1,927,423,583+ views. It is the most significant tip to consider while launching the successful YouTube video marketing. A vlogger should always consider the community guideline policies and thoroughly analyze the YouTube channels. It can expand the most required skills that every video marketer needs to establish. AI and Machine Learning are the most advanced technologies to identify the fraud videos. By using the method machine learning the audience preferred content by estimating the demographics of the viewers. AI helps in launching the newly born products and also frames the performance of video by considering the insights through vast data collection. The hashtags on YouTube will help us to pick the trending topic videos. The videos with the hashtag will display your video content on the top list of the hash-tagged topic. The hashtags placed in the description or titles of the video content which allows your content displayed in the list of YouTube search. Hence, YouTube will become hash-tag friendly as it the key strategy to develop your YouTube Channel. The invention of YouTube Space is going to clutch the more innovative people to one stage. The workshops and events etc. are available on YouTube Space. The theme to launch the YouTube Space is to encourage creators to generate the unique video content, active collaboration with the community of YouTube and to learn advanced skills. The primary strategy of YouTube is to give a life to the video by bringing the original content to the tip of the audience through which they can get good entertainment without getting bored. When the creators produce, original video content will alive on YouTube forever. The use of video transcription and localization will bring new life to the video as they are going to display the audio in the text format. Through this, the global audience can easily understand the content of the video though it is another language. Now the 360 Degrees YouTube Video has become viral to watch each direction that involved in the video content. Most of the business brands are making plans to invest much more in launching the useful 360-degree videos. It is better to insert the 360 degrees YouTube videos for better brand marketing. YouTube live video marketing can be the best option to reach the audience at a glance. Many videos broadcasted on a single screen. Through this, the brand expands simply and quickly without hurdles. The titles of the YouTube video should be optimized that brings continuous engagement to the YouTube channel. 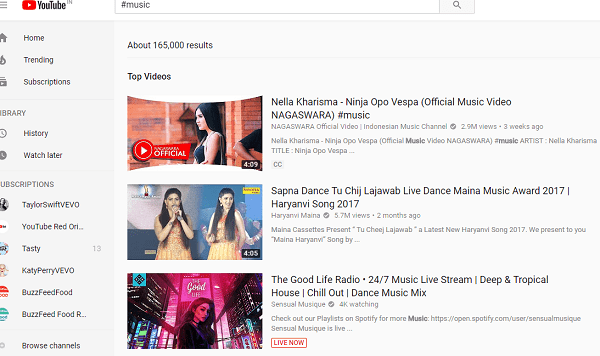 Assign the universal titles of most searched on YouTube. Upload the videos frequently as the audiences expect fresh and blossom content on the regular visit of the channel. Choosing of the thumbnail is the basic and significant one to make effective YouTube channel. The thumbnail should catch the attention of the audience at a single visit of your channel. Make comments on videos of your competitor from where you can attain the more number of subscribers and fans. Reply to the comments of your audience, and this can help to have long-lasting customers. Make continuous study on analytics which helps you to estimate the performance of your channel. The content of the video is the backbone of the channel either to get the success or failure. Always try to produce the unique and genuine content which comes from the real-time experience. The video is going to be the most seeking one for each. The giant hub of videos is YouTube. The unboxing videos of products more demanded in the global market. The watch time of the videos increased than regular. Top searching keywords will help to make a video viral. YouTube mobile app is the most seeking one in the present and coming era. We all know that YouTube is a wonderful destination for YouTube Marketing 2019 from startups to big companies. The way of marketing the videos have changed from time to time with new technologies and innovations. Present trends play an important role in the marketing process. At present GIF’s are the best way to convey the message and to market the products and as well as the videos. here are some best ways to market your YouTube videos using the GIF’s. GIFs are short form video animated clips which make the audience stick towards it within five seconds. The Gif shows as a single part scene where the viewers can find it more interesting. The users can also add the captions and convey the message clearly. GIF’s grab the attention in short span so you can utilize well to educate your audience about your company and products. So start developing your product demo with the GIF’s which can be utilized for your video promotion and marketing. Add text and emojis which can offer the better emotional reactions to your news. It helps in better promotion of your YouTube videos. Make an animated GIF’s for the promotion of your YouTube videos. Prepare GIF’s which must convey the message of the brand or a company or products. Add URLs to your GIF posts and encourage the audience to connect with your YouTube videos. Therefore GIF’s are the best way to market and promote your video content online. The above-listed phrases will give the complete details that contain the YouTube Marketing 2019 and Video Marketing Tips,Trends, and Strategies to gain the advanced knowledge on YouTube to explore the Brand.